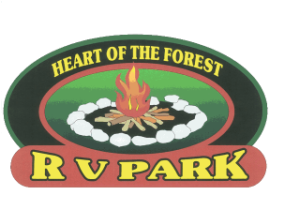 Heart of the Forest is located in the midst of wonderful outdoor activities in Manistee National Forest. Enjoy hiking and mountain biking on miles of trails, try your hand at mushrooming on the acres of public land, or just enjoy your surroundings of dense forests and wildlife. Walk from the campground to a beautiful nine hole golf course. The Big and Little Manistee Rivers are excellent for fishing and canoeing; catch steelhead, salmon, trout, large and small mouth bass, pike, and walleye. There are numerous outfitters and liveries nearby that can help you with canoe and kayak rentals as well as fishing guides. Canoe or Kayak the Pine River, or try the Big or Little Manistee Rivers. Area lakes are also nearby that offer water recreation and fishing opportunities. The Manistee National Forest is still full of activity in the winter with snowmobiling, cross country skiing, hunting, and more! 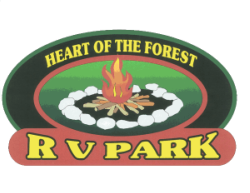 Heart of the Forest RV Park is your ideal recreation place to be! Check our links page for area liveries, golf courses and many other near-by attractions! We have a nice playground for the kids!